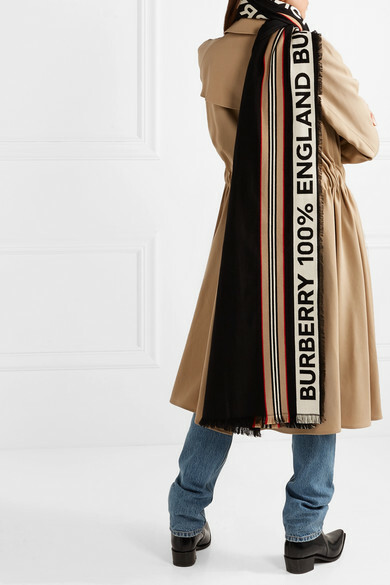 Riccardo Tisci is giving Burberry's heritage styles a fresh, new update for Spring '19. 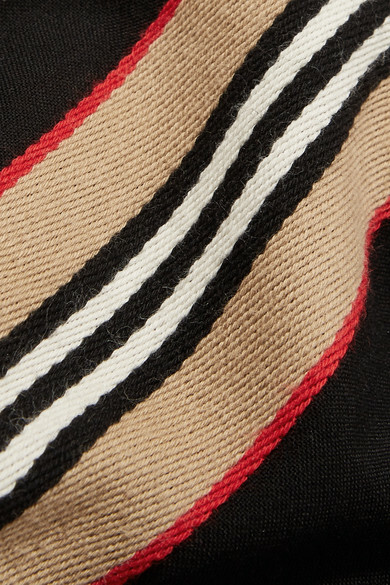 This cotton scarf is intarsia-knitted with the label's logo and '100% England' - a nod to its British roots. 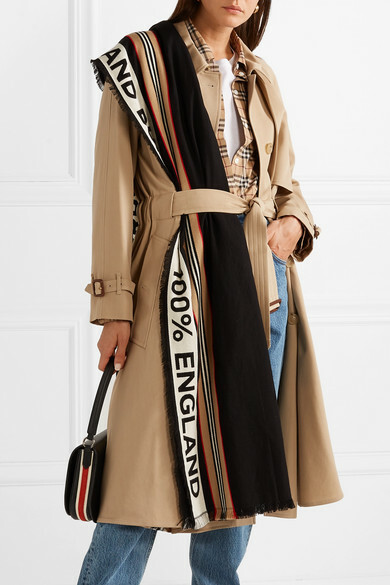 We love how it looks draped over one shoulder of the signature trench coats. Shown here with: Helmut Lang Jeans, Burberry Trench, Burberry Top, Handvaerk T-shirt, CALVIN KLEIN 205W39NYC Shoulder bag, Valentino Ankle boots, Sophie Buhai Earrings.